New Delhi : In an attempt to study ancient lives and habitats, scientists in China and America has found that Anchiornis, one of the earliest feathered dinosaurs, could to fly like birds due to the lack of certain kind of proteins in its feathers. This interesting study and findings has been published in the journal Proceedings of the National Academy of Sciences. Scientists say that a protein called beta-keratin give modern birds’ special bio-mechanical properties to fly, such as flexibility, elasticity and strength, but the Anchiornis of archaic times lacked those properties. Pan Yanhong from Nanjing Institute of Geology and Palaeontology of the Chinese Academy of Sciences and American researchers analysed the fossilized feathers using high-resolution microscopy and determine the molecular composition of those feathers. 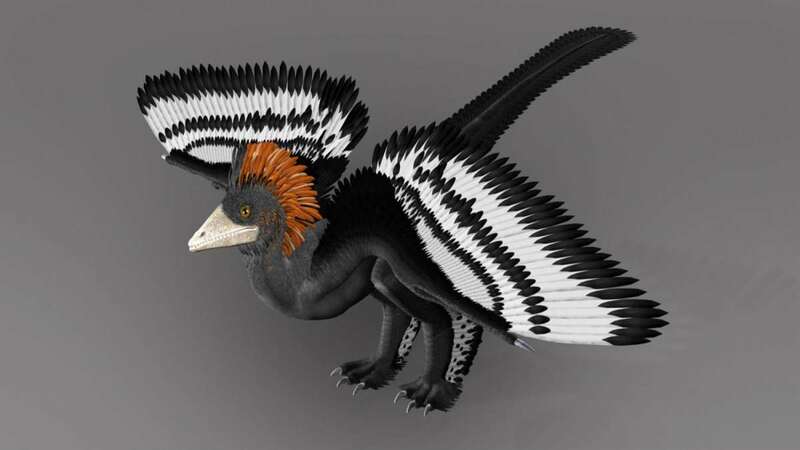 They found that Anchiornis feathers were made mainly of thicker alpha-keratins rather than thinner beta-keratins, although they contain some of the molecular structures of beta ones. Birds of today are blessed with feathers that are composed primarily of flexible beta-keratins and at certain time during the evolution of feathers, one of the beta-keratin genes was deleted, making the protein slightly smaller, according to the researchers. Studies conducted earlier claims that Anchiornis, a small, feathered, four-winged dinosaur that lived in China around 160 million years ago is strong evidence that dinosaurs transformed into birds. And, the gene deletion, according to the researchers, happened around 145 million years ago, millions of years later than Anchiornis lived, so this kind of feathered dinosaurs had no shortened protein form to give them functional flight feathers. "The data also give us more information about how feathers evolved to enable flight," said the paper's co-author Mary Schweitzer, professor of biological sciences at North Carolina State University.